Providing organic land care to the South Shore since 2004. Dave Macdonald founded Summit Landscape in 2004 with a desire to work in the outdoors and stay true to his mindset about the environment. Soon after, he took the five-day Northeast Organic Farming Association (NOFA) course to become a certified organic land care professional. 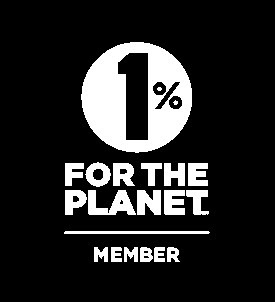 Since 2006, Dave has been a member of 1% for the Planet, an organization that has inspired members of the business community to contribute 1% of sales to environmental groups around the world. Summit Landscape has made donations to NOFA, Holly Hill Farm in Cohasset, and Farm Aid, amongst others. 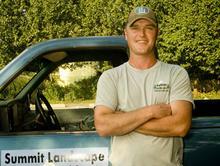 He is also a member of the Ecological Landscaping Association and graduated from Maine Compost School in 2007. Due to heavy volume, Summit cannot take on new customers. For fertilizations and other lawncare needs, please contact Larry Taylor at Natural Tree & Lawn Care for safe, eco-friendly services. Tell him that Dave sent you. "Organic land care is a process, not an event." As owner/operator of Summit, Dave is in charge of all aspects of the business. He takes pride in his work and is passionate about helping people live smarter, safer, and healthier by not using chemicals or pesticides on their lawns. Dave currently serves customers all over the South Shore of Massachusetts.